During the 2011 Vinexpo in Bordeaux I had the chance to taste a lot of wines. I’m finally starting to write about some of the wines that impressed me at this fair. Today is all about Marques de Murrieta’s wines. Out of the 5-7 wines they had available for tasting at the booth, there were 3 wines that shined out. The wine that made famous this Bodega is the interesting Castilo Ygay, both in red and white. Produced only in the best years, the wine is made from a separate vineyard and aged for a minimum of 36 months in American oak. 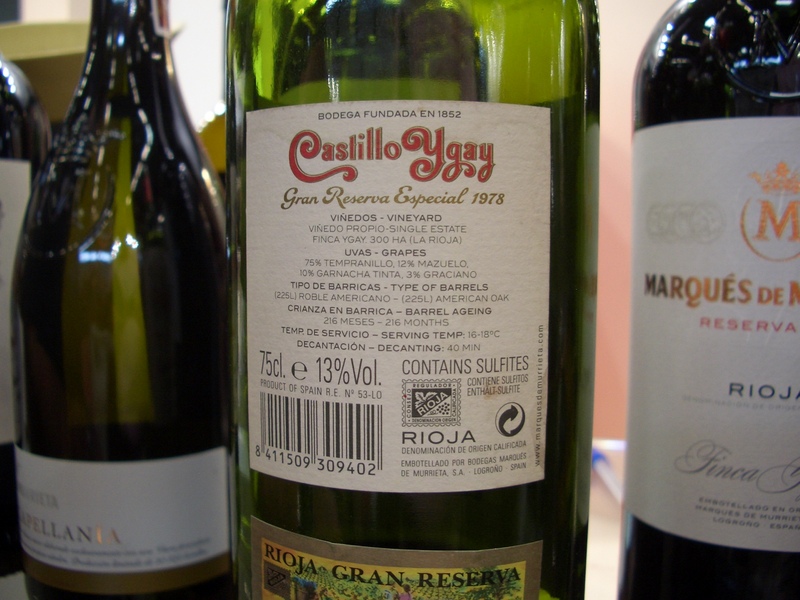 I had mixed feelings about Ygay because, as much as I liked the 2001 Castillo Ygay, I was really disappointed by the Ygay 1989. I was however curious to taste the new vintage released. Oddly enough, Castillo Ygay sells for a lower price than the Dalmau. By far the most interesting wine of this producer and a serious contender for the Wine of the Fair for me was the 1978 Ygay. The lady from the booth was very kind and offered me a glass of this old bottle of wine she was keeping hidden in a drawer. Blend of 75% Tempranillo, 12% Mazuelo, 10% Garnacha Tinta and 3% Graciano, this wine was aged in barrel for an insanely amount of time: 216 months – that’s about 18 years and another 10 years in the bottle. Unfortunately not available for sale, not even at the winery as far as I understood.